Super Session features 3 legends in the world of Rock & Roll! Al Kooper, Paul Butterfield and Steven Stills. 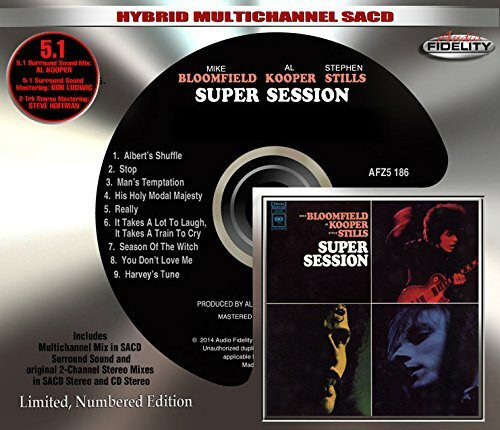 This is a legendary recording that has never been available in 5.1 The 5.1 Surround Sound mix is produced by Al Kooper. The 5.1 Surround Sound mastering is by Bob Ludwig at Gateway Mastering Studios. The original 2-track stereo and DSD mastering is by Steve Hoffman at Marsh Mastering studio. Al Kooper s updated liner notes makes this collection even more special.